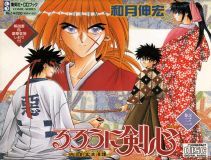 This CD contains audio drama for the TV anime Rurouni Kenshin. The CD drama is approximately 61 minutes. There is only one track on the disk. 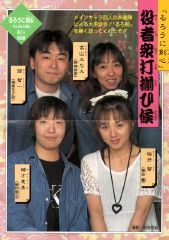 Note that Sakurai-san plays the role of Kaoru on this disc, not Misao. The seiyuu who participate in this drama are as follows: Sakurai Tomo (桜井智), Ogata Megumi (緒方恵美), Takayama Minami (高山みなみ), Aono Takeshi, Seki Tomokazu (関智一), Ishizuka Unshou, Asou Tomohisa. This package includes a small insert with photos and interviews along with two gold-leaf bookmarks.